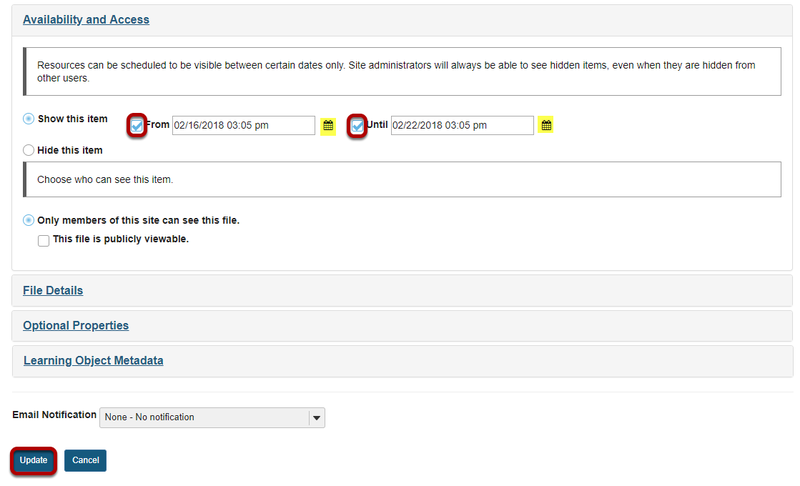 Sakai Guides and DocumentationSakai Basics Resources ToolHow do I set the display of a Resources item to a specific time period? Under Availability and Access, check the boxes next to From and Until, set the dates and times using the calendar icon, then click Update. Zoom: View file or folder in Resources. Prev: How do I unhide files or folders? Next: How do I remove a file or folder in Resources?